I hope you find great value in these Quotes about Regrets from my large collection of inspirational quotes and motivational sayings. gift because I don't know if I have the talent to become a prima ballerina. It's such a hard job to have. I don't have any regrets about it. 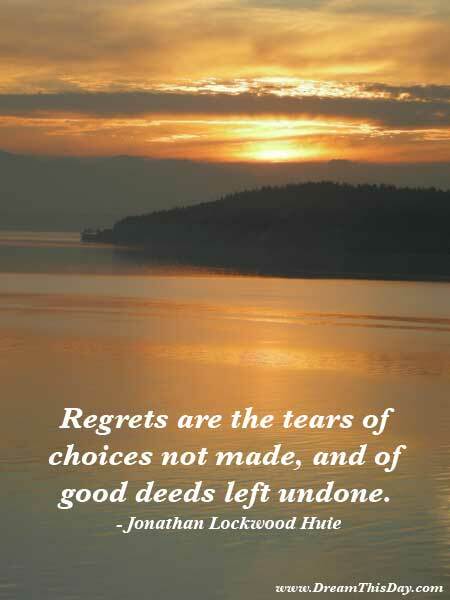 Thank you for visiting: Regrets Quotes.